Dharma Dew | Is Buddhism a religion? Kuala Lumpur, Malaysia -- Buddhism points to the universal or common experience of all sentient beings, that of suffering. It also makes a statement about the way out of suffering. Suffering is an awakening experience. When we suffer we begin to ask the questions. We tend to look, investigate, wonder and try to find out. In the story of Prince Siddhartha (the name of the Buddha before he was enlightened) we hear of his life as a prince in an environment where there was only pleasure, beauty, comfort, social advantages - all the best life could offer. Then, as the legend goes, at the age of 29, Siddhartha left the palace to look outside, and he became aware of the messengers of old age, sickness and death. Now one might say that he must have known about old age, sickness and death before the age of 29. In our way of thinking, it is quite obvious to us from an early age that everyone gets old, gets sick, and dies. However, this was something that the prince was merely aware of as a fact. It was something that did not awaken his mind until he reached the age of 29. Similarly, we can live our lives, and we can assume that everything is all right, and even the unhappiness or the disappointments that we might normally experience may not necessarily awaken us. We may wonder about them a bit, but there are so many opportunities to not look at it, to not notice. It's easy to blame our unhappiness on others, isn't it? We can blame it on the government, on our mother and father, on friends or enemies, on external forces. But the awakening of the mind to old age, sickness and death happens when we realise that it is going to happen to us. And that realisation comes not just as an abstract idea but as a real gut feeling, a real insight that this is what happens to all human beings. What is born gets old, degenerates and dies. 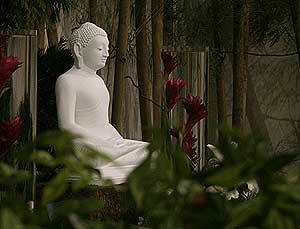 The fourth messenger that the Buddha saw was a samana. A samana is a monk, or a religious seeker, someone who is devoted solely to the pursuit of the ultimate reality, the truth. The samana, as portrayed in the legend, was a shaven-headed monk wearing a robe. These are the four messengers in Buddhist symbolism: old age, sickness, death, and the samana. They signify the awakening of the human mind to a religious goal, to that aspiration of the human heart towards realising the ultimate reality, which is freedom from all delusion and suffering. Sometimes modern attitudes towards Buddhist meditation tend to portray it as leaving the world and developing a very concentrated state of mind, dependent upon carefully controlled conditions. 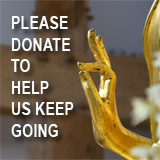 So in the United States and in other countries where Buddhist meditation is becoming increasingly popular, people tend to develop strong views about it being a concentrated state of mind, in which technique and control are very important. This type of technique is all well and good, but if you begin to develop the reflective capacities of your mind then it is not always necessary, not even advisable, to spend your time trying to refine your mind to where anything coarse or unpleasant is suppressed. It's better to open the mind to its full capacity, to full sensitivity, in order to know that in this present moment the conditions that you are aware of, what you are feeling, seeing, hearing, smelling, tasting, touching, thinking, are impermanent. Impermanence is a characteristic common to all phenomena, whether it is a belief in God or a memory of the past; whether it's an angry thought, or a loving thought; whether it's high, low, coarse, refined, good, bad, pleasurable or painful. Whatever its quality might be, you are looking at it as an object. All that arises, ceases. It is impermanent. Now what this opening of the mind does, as a way of practice and reflection on life, is allow you to have some perspective on your emotions and ideas, on the nature of your own body, as well as the objects of the senses. Getting back to the consciousness itself, modern science, empirical science, considers the real world to be the material world that we see and hear and feel, as an object to our senses. So the objective world is called reality. We can see the material world, agree to what it is, hear it, smell it, taste it, touch it or even agree on a perception or a name for it. But that perception is still an object isn't it? Because consciousness creates the impression of a subject and an object, we believe that we are observing something that is separate from us. 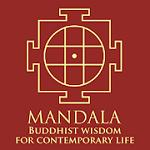 The Buddha, by his teaching, took the subject-object relationship to the ultimate point. He taught that all perceptions, all conditions that go through our minds, all emotions, all feelings, all material-world objects that we see and hear, are impermanent. About all of it, he said, "What arises, ceases." And this the Buddha kept pointing out over and over again in his teachings: this is a very important insight that frees us from all kinds of delusions. What arises, ceases. Consciousness can also be defined as our ability to know, the experience of knowing. The subject knowing the object. Ajahn Brahmavamso is the Abbot of Bodhiyana Buddhist Monastery & Spiritual Director of the Buddhist Society of Western Australia, Perth. www.bswa.org.